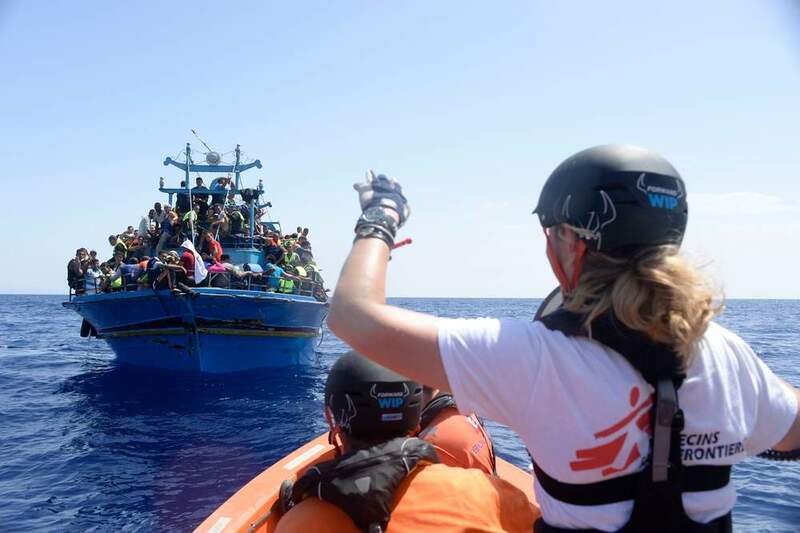 MSF is one of the world's leading independent organisations for medical humanitarian aid, giving quality medical care to people caught in crisis regardless of race, religion, or political affiliation. Every day, more than 30,000 MSF field staff provide assistance around the world to people whose survival is threatened by violence, neglect, or catastrophe, primarily due to armed conflict, epidemics, malnutrition, exclusion from healthcare or natural disasters. In 2015, MSF carried out over 8 million outpatient consultations and admitted over 594,000 patients. MSF teams had 333,900 HIV/AIDS patients under care, vaccinated around 2 million people against measles and meningitis, and treated more than 2 million people for malaria. There were 219,300 births assisted including caesarean sections, 184,600 individual mental health consultations and 83,500 major surgical interventions. Formed in 1971, by a group of doctors and journalists aiming to establish an independent organisation focused on emergency medical care and speaking out about the causes of human suffering, MSF's work is based on the humanitarian principles of medical ethics and remains committed to bearing witness and speaking out. MSF has 21 main national offices and 10 specialised organisations, which take charge of specific activities, such as humanitarian relief supplies. MSF has 446 projects in over 60 countries. There are five operational centres which directly control field projects, deciding when, where and what aid is necessary and when to end a programme. The primary functions of the remaining offices are to recruit volunteers, raise funds and advocate on behalf of populations in danger to maintain MSF's financial independence. MSF field staff include doctors, nurses, administrators, epidemiologists, laboratory technicians, mental health professionals, logistics and water and sanitation experts. The majority of our teams are made up of national field staff from the countries where the crises are occurring with ten per cent made up of international field staff. All of MSF's members agree to honour the principles set out in the MSF Charter.